To submit your article, please sent it via e-mail: jes@sumdu.edu.ua. Authors are able to enter into separate, additional contractual arrangements for the non-exclusive distribution of the journal’s published version of the work (e.g., post it to an institutional repository or publish it in a book), with an acknowledgment of its initial publication in this journal. Authors are permitted and encouraged to post their work online (e.g., in institutional repositories or on their website) prior to and during the submission process, as it can lead to productive exchanges, as well as earlier and greater citation of published work (See The Effect of Open Access). As soon as the paper is accepted, finally submitted and edited, the paper will appear in the “OnlineFirst” page of the journal, thus from this point, no other internet-based publication is necessary. citations should be up-to-date and indexed by the databases Scopus and Web of Science (peer-reviewed journals with high impact factor are preferable). Self-citation must not exceed 15 % of your reference list. Where available, DOIs or URLs have been provided for the references. 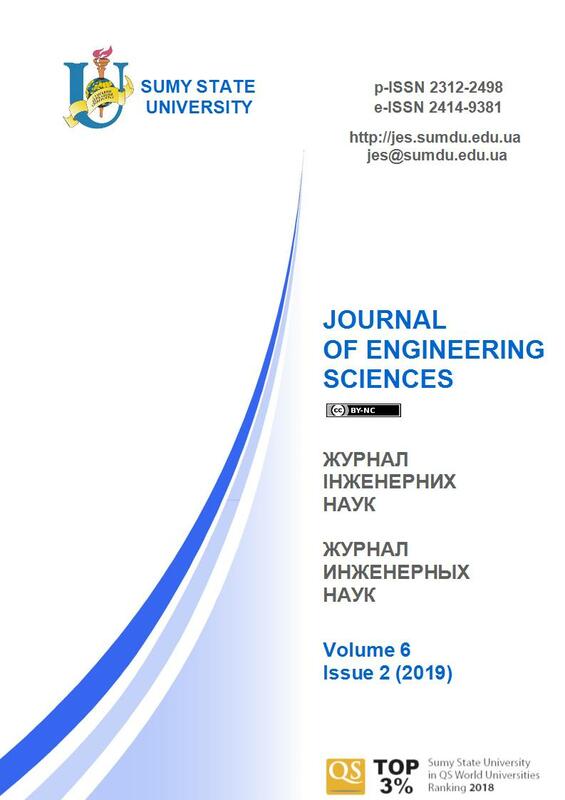 For ensuring the privacy statement, the names and email addresses entered in the submission will be used exclusively for the stated purposes of the “Journal of Engineering Sciences” and will not be made available for any other purpose or to any other party. After the Editorial Board will be notified of your submission, you will be emailed about confirmation by Managing Editor. Once the Editorial Board / Reviewers will be reviewed the submission, the Managing Editor will also contact you.